Celebrating the commitment and service of St John members. 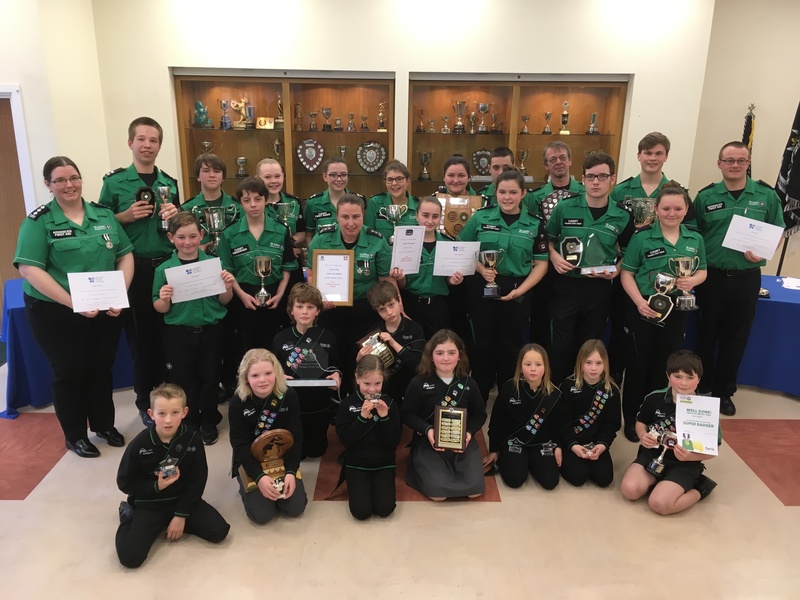 The achievement of Guernsey’s young and adult first aiders has been recognised at the annual St John Presentation Afternoon. A total of thirty five awards were presented by Knight Commander Andrew Henton, Chairman of St John Guernsey Jurat David Hodgetts and the Senior Officers. Matthew Holland, Guernsey’s new Cadet of the Year received the Edward John Le Gallez Trophy. Matthew was appointed as Guernsey’s Cadet of the Year last month and then went on to attend the National Cadet of the Year Competition where he competed against Jersey, the Isle of Man and Northern Ireland to win the prestigious title. Matthew was also presented with his Grand Prior Award, the highest award achievable in the St John Youth programme. In recognition of his commitment to St John and the extracurricular activities he has undertaken on behalf of the organisation he was also awarded the Phyllis Touzeau Trophy. Matthew says “It was it a real honour to be appointed and these awards are a marker for me for my time in St John. I am proud and honoured to be presented with the trophies.” Matthew who joined St John as a Badger and progressed to Cadets added “I enjoy what I do, so getting this recognition is a very pleasing bonus”. The Tony Robert Shield for the adult first aider with the most training hours went to Alan Stevens, while Josh Bonsall won the Public Duty Award for the highest number of public duty hours. Olivia Harrison and Jaime Sarre were the joint winners of the Kay & Colin Bull Trophy for Cadet Public Duty. Badger of the year went to Oliver Pedersen, who is already showing promise and will represent the youngest of St John at local events this year. Rob is one of about thirty volunteer CFRs who respond to immediately life threatening calls in their vicinity to give live saving treatment before an ambulance arrives. Jurat Hodgetts added “Our response times in Guernsey are good, but the CFR’s are a useful addition to the emergency road ambulance service and as islanders we should be really grateful that these people are willing to give that sort of commitment and come to our aid when we need it. 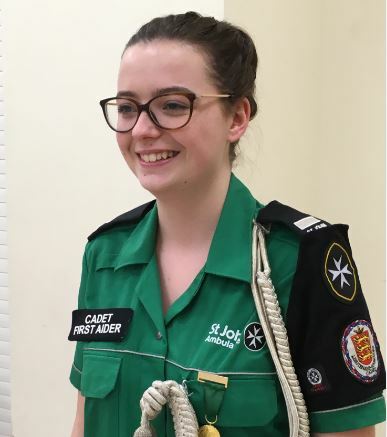 Lydia Batchelor, a previous Cadet of the Year and current Lieutenant Governor’s Cadet won the Madge Wherry Trophy for her dedicated commitment to St John. Many of the St John cadets and adults also received their Dementia Friendly Awareness Certificates having recently completed a course to help them care for patients who may have dementia. Senior Officers Josie Guille and Tanya Goubert added their congratulations. “Well done to all the Badgers and Cadets who received awards, and a special thanks to all the youth leaders who’ve worked so hard over the year. I’d also like to thank the adult volunteer first aiders for their commitment. 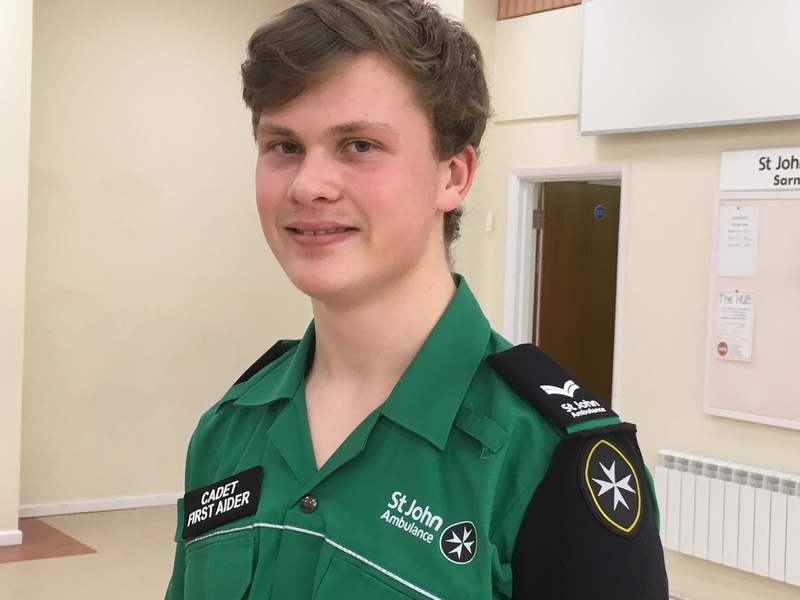 We are always keen to hear from adults who would like to get involved and train to be one of our St John event first aiders.